Setup your account's preferences by clicking the Preferences link at the top-right of TrackSmart. 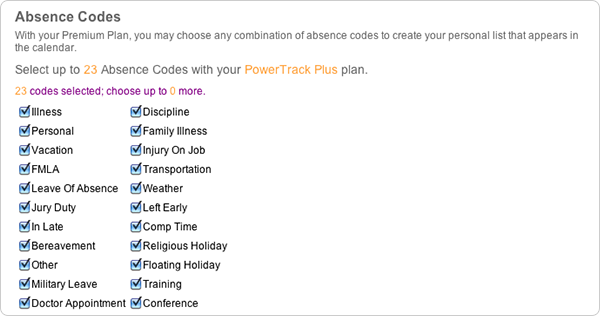 You'll be directed straight into the Absence Code Preference screen where you can choose the absence codes you'd like to use with your account. Just select and deselect a checkbox corresponding with the code. I need to change an absence code name, can this be done?